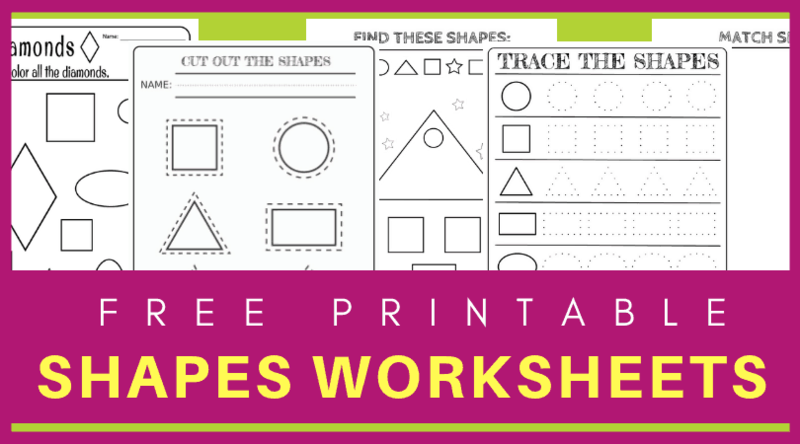 I am super excited to share these free printable shapes worksheets with you today. 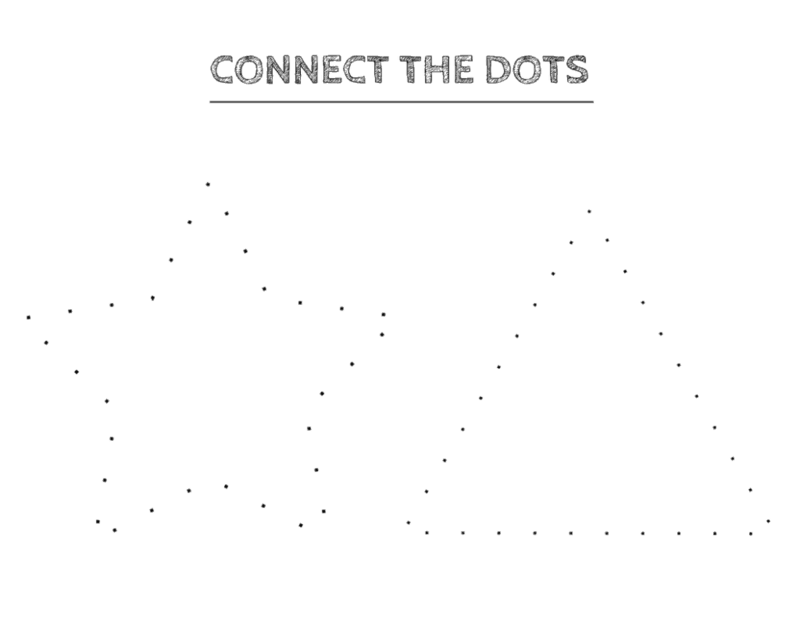 They are quick and easy learning shapes activities that your little one can do this summer. 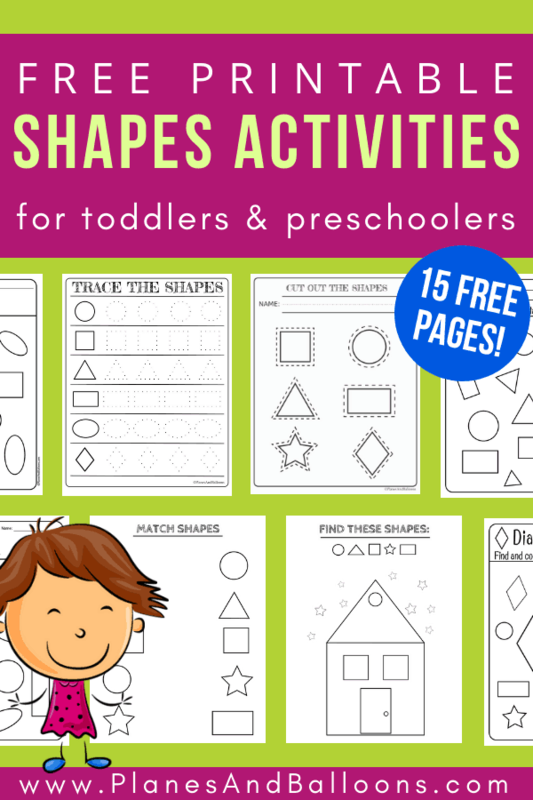 Whether your child is only at the very beginning of learning shapes or already has some knowledge, these shapes activities are fun and playful. Just let your child color the different shapes, trace the shapes, search & find, look for two matching shapes or trace the dots. Plus I’ve recently updated this post and added seven more coloring shapes worksheets for your convenience. 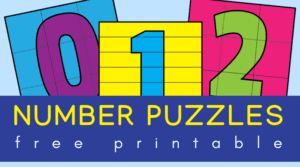 I am continuously updating my older posts to provide even more fun activities for preschoolers and kindergarten students. So make sure to come back often! 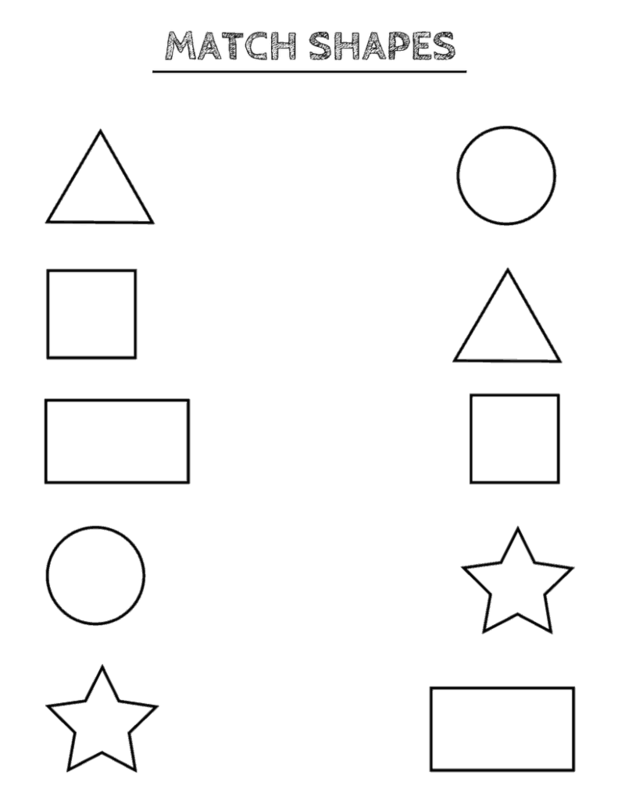 To download all 15 pages of these shapes worksheets, simply click on the download link at the bottom of this post. 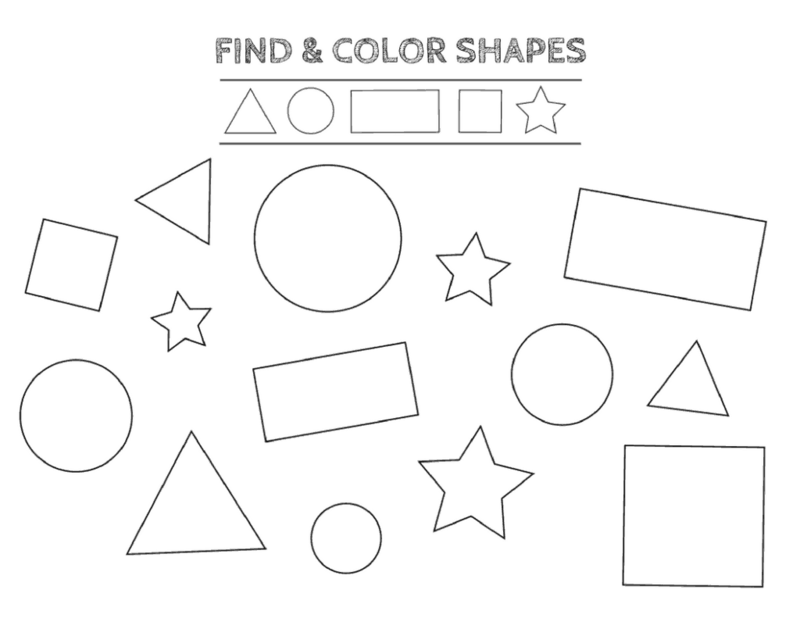 Print these shapes worksheets one at a time or all at once and have numerous shapes activities ready. Let your child play around with them, choose her own colors to color them in, etc. Let her have fun and don’t worry if she doesn’t find all the right answers. You can always come back and print them out again. 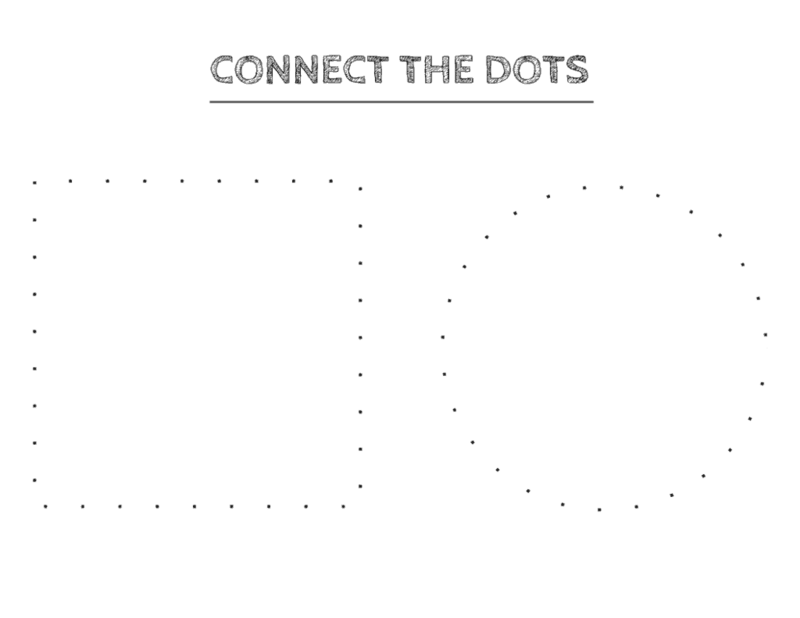 These connect-the-dots and tracing shapes worksheets are large and easy enough for preschoolers or even older toddlers. 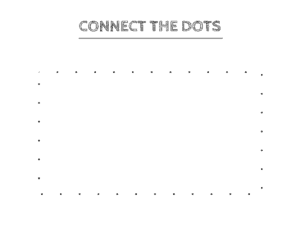 Next is a set of tracing and coloring shapes worksheets for recognizing circles to rectangles, ovals, and diamonds. 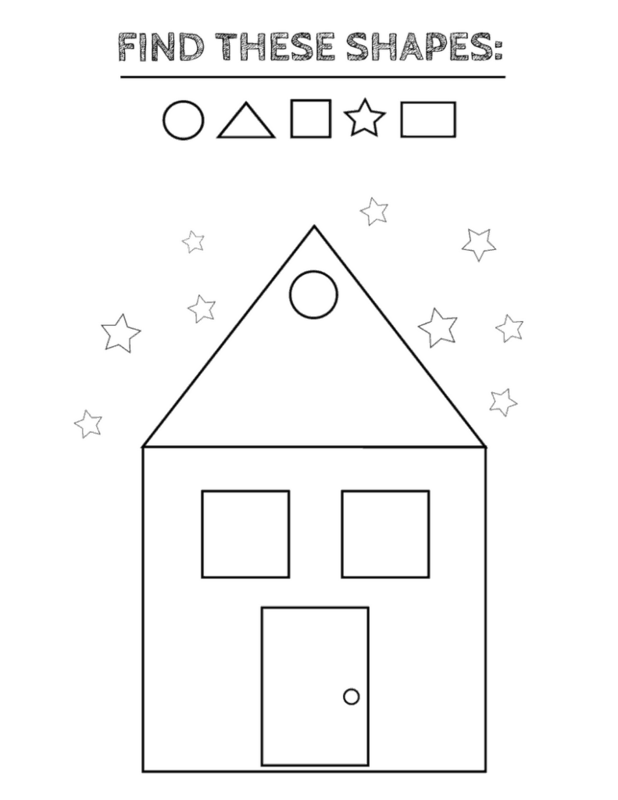 Use these printable shapes worksheets to reinforce all the new knowledge your preschooler or kindergartener has acquired. 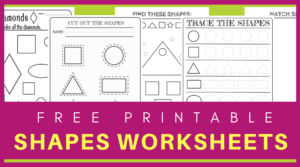 Please, keep in mind that these free printable shapes worksheets are for personal or classroom use only. Any re-distribution or altering are not allowed without written permission first. Thank you! Oh, thank you, Lori! I really appreciate you saying that. Thank you for these. Love it! Thank you so much , for your effort on putting this together. Is really helpful . G-d bless you. Thank you so much for this lovely printable. I wanted to start with shape theme for my daughter. Thanks again. I am glad you find them useful! Thank you so much. It gives me inspiration. Thank you so much! My son loves these worksheets. He keeps asking to do more! After losing my dominant arm in an accident I have been trying to relearn or train myself to draw. Basic shapes will enable me to continue. Thank you. I am glad these worksheets can be helpful to you! All the best to you!